Northern Trust Company Ltd has announced the 100% occupancy of their popular Grange Court industrial development in Grangemouth; following the lettings of Units 5 & 6 on the estate. 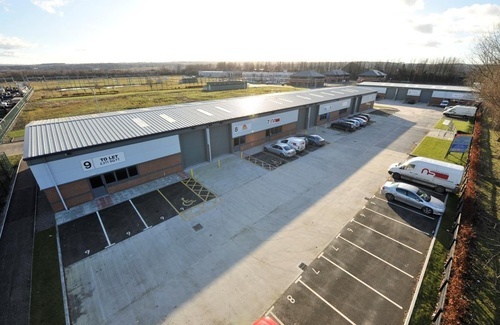 Both units, totalling 3,304 sq ft have been let to RPS Environmental on a 5 year lease agreement. RPS was founded in 1972 and is a multinational energy resources and environmental consultancy company. They join 6 other companies on the estate including CLC Presentation Systems Ltd, Belzona Polymerics Ltd, and NRL Ltd.
Grange Court covers 16,545 sq ft providing a range of units from 1,000 to 2,200 sq ft; forming part of the well-established Earls Gate Business Park which is well located offering direct access to Falkirk and Junctions 5/6 of the M9 are within a short distance. For more details about Grange Court please visit the dedicated website at www.grangecourt-grangemouth.co.uk or contact one of the joint letting agents directly, Mike McIntyre at DM Hall on 01324 628321 or Cameron Whyte at Ryden on 0131 225 6612.